Peskind Law Firm has been providing our divorce attorney services in Geneva for over 35 years and understand there are many legal grounds for divorce and for lack of a better word, divorces can get sloppy. There are numerous things to sort out in a divorce such as, who decides who gets the cars, the pets and the house? Our divorce attorney services in Geneva want to ensure you get the most desirable settlement for you and your family. A divorce attorney in Geneva should think strategically and consider not only your immediate interests but your long term interests as well. If for any reason you have any questions or comments about our divorce attorney services in Geneva, feel free to give us a call at 630-444-0701 or fill out the form to the right and a representative will respond shortly. Our divorce attorney services in Geneva will make sure you are prepared to deal with virtually any problem that confronts you in divorce court. With our divorce attorney services in Geneva you will have an entire team behind you in addition to a case manager overseeing all aspects of the case. Peskind Law Firm’s divorce attorney services in Geneva do not include petulant and immature rantings in court to impress judges. At all times our divorce attorneys will handle your cases professionally and maturely. Our divorce attorney services in Geneva are considerably more affordable compared to other firms considering the amount of professionalism and experience you will be receiving. 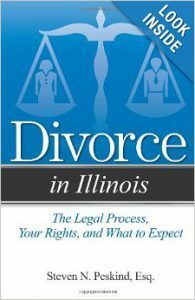 If for any reason you have any questions or comments about our divorce attorney services in Geneva, feel free to fill out the form to the right and an associate will respond shortly or give us a call at 630-444-0701.